Now this looks like fun, reminiscent of John Wick’s Cat. 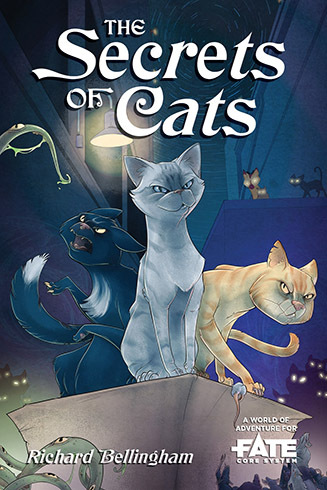 The Secrets of Cats: A World of Adventure for FATE CORE is an urban fantasy/horror setting for use with Evil Hat’s FATE CORE and FATE CORE ACCELERATED in which the players take on the roles of sentient mystical felines who save mankind from the powers of darkness! This entry was posted in Gaming and tagged FATE, Gaming, RPG on October 24, 2014 by Geoff.